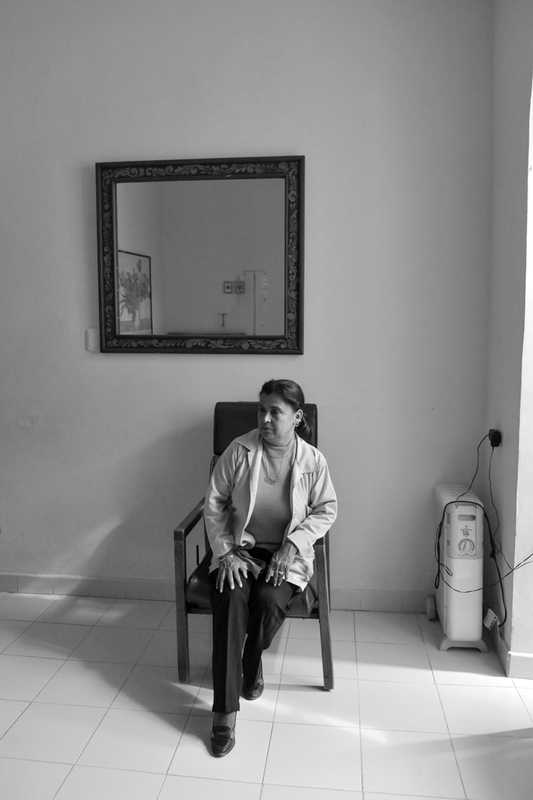 Traditional midwife Manuela Mendoza watches a woman labor at CASA Midwifery School's hospital. At the time, the school was Mexico's only professional midwifery training program. The hospital works to help women labor as they would like to, and to hold their babies and breastfeed immediately after birth, increasing rates of successful breastfeeding and improving health outcomes for newborns.